I had no intention of having a go at building a double-ended Fairlie. That was until at the Warley Exhibition when Alan Regan sold me a copy of the rather splendid Society journal featuring the Festiniog Railway. It’s a very inspirational book, beautifully produced with a good balance of prototype, text and some excellent line drawings of locomotives, rolling stock and lineside features. I assume, the majority of members will have a copy of this, but being a relatively new member of the Society I did miss out when it was first published. I was particularly attracted to Colin Binnie’s drawing of the Fairlie engine, ‘Little Wonder’ which although not dimensioned, is published full size for 16mm modellers and gives enough information without being over burdened with detail. 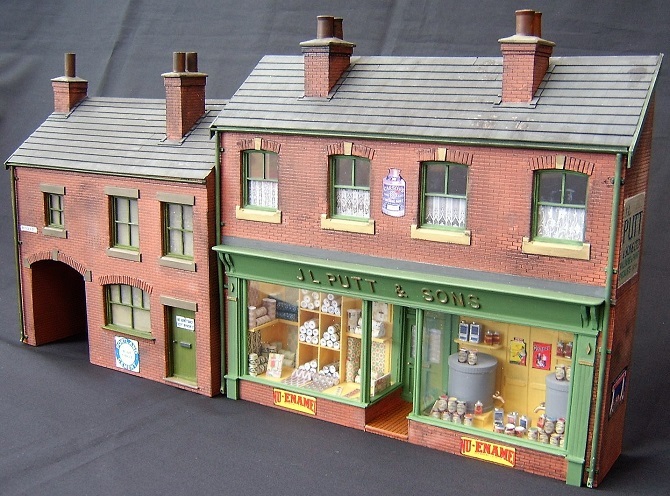 It is however a pity there was no end view, but with an abundance of photographs of the original and of models produced it is relatively easy to guess the missing details. 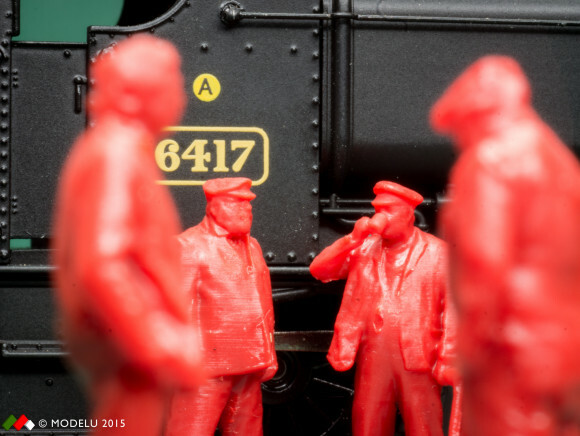 I shouldn’t have used the word ‘guess’, as it gives a clue to the type of modeller I am. I have adopted the attitude that if the finished model looks about right, it probably is not far out. 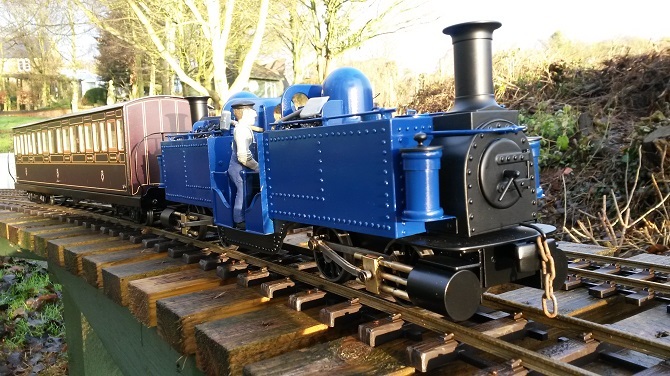 I was looking for a project to occupy me over the Christmas period and decided to have a go at this loco. I should probably mention at this stage I don’t have a workshop in the true sense of the word. 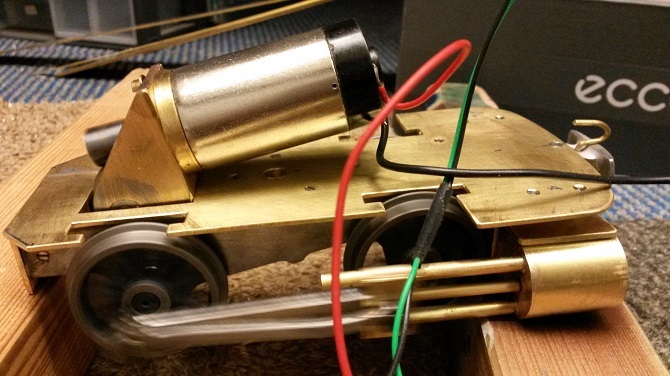 What equipment I have, competes for space with a large 7mm narrow gauge layout. As far as hand tools go, I have the usual collection of a few files, screwdrivers, square, and most importantly a hammer! 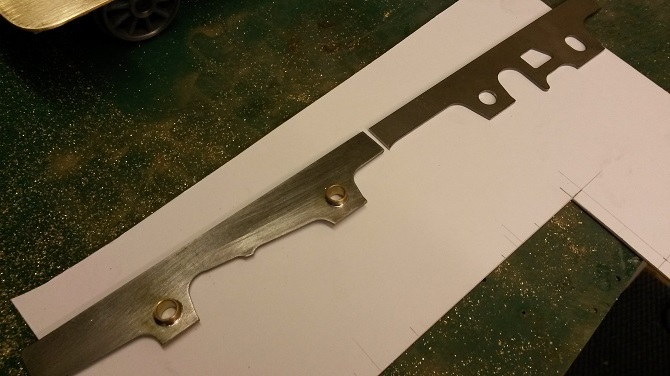 I recently purchased a small Proxxon band saw which I have found very useful and has made the junior hacksaw virtually redundant. To complement this rather pathetic collection of tools is a cheap Wickes bench drill, the bearings of which have always been a bit suspect. Up until recently I have made most of my models from ‘Plastikard’, which, when well braced, can create a sturdy locomotive. Not live steam of course. 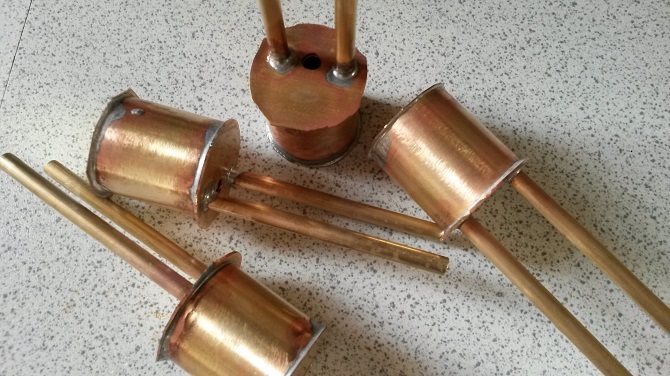 Having acquired a band saw plus some soldering equipment, and some brass sheet, I decided to have a go at my first engine to be built from mainly all brass. I say mainly because the chassis frames are steel. This is a good point to start its construction. 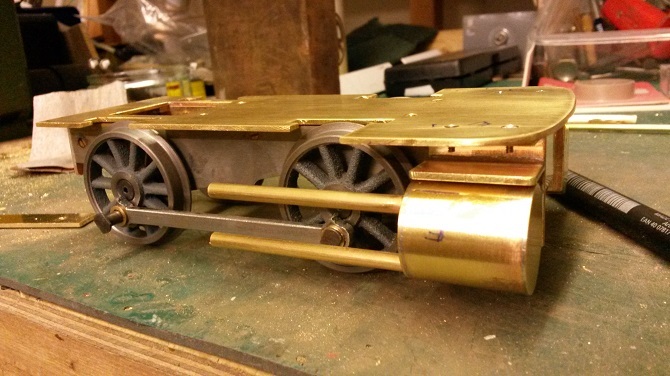 It is a scratch built model with some bits purchased, namely the steel chassis side frames, wheels, axles and bearings, and coupling rods. None of these are for a Fairlie engine, but all are near enough suitable for use following some judicious hacking about. 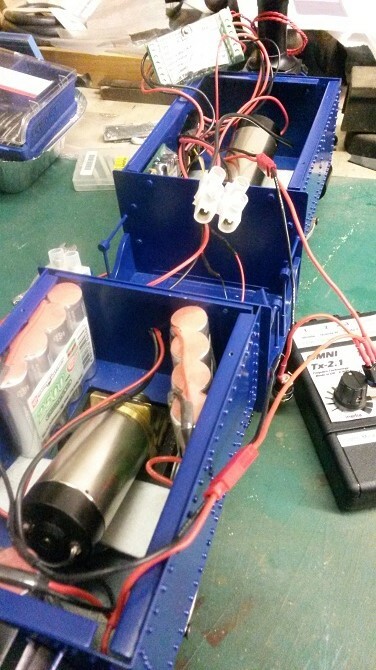 These were supplied by Walsall Model Industries as were the two very beefy looking electric motors and gear boxes. Obviously the engine will be electric motor(s) powered and utilise batteries and hopefully will be radio controlled with sound. At this stage of writing I have not committed myself to these since I am unsure of whether I am capable of building the engine! The accompanying photographs, with some annotation, will I hope clearly illustrate the constructional details. As I said before it’s mainly built using basic hand tools. 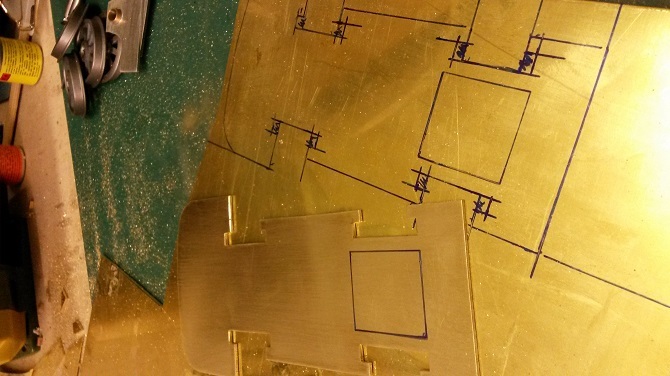 For example, when marking out the brass sheet, I use a rule, square and felt tipped pen. No fancy marking out gauges, etc! 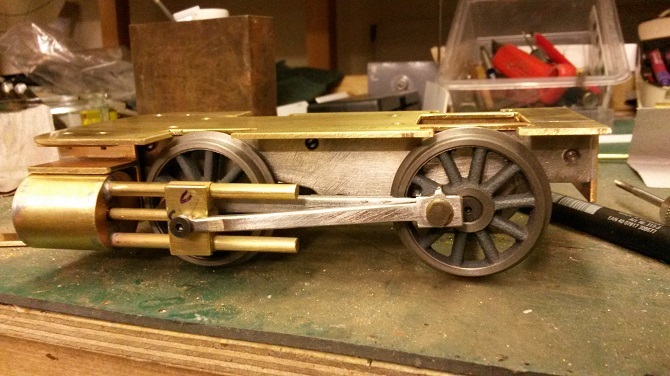 It’s taken about 75 hours to construct my first scratch built loco in brass. I had serious doubts at first whether it was possible, lacking both workshop and some of the necessary skills. Obviously without some of the workshop equipment, e.g. lathe and milling machine, some compromises had to take place. For example, the sand boxes are nothing like the original. There is just so much you can do with domestic plumbing fittings! I have always imagined scratch building locos to be a cheap option but as you can see from the attached costings, it is still a considerable amount of money to expend on what could quite easily have ended up being a neat pile of scrap. 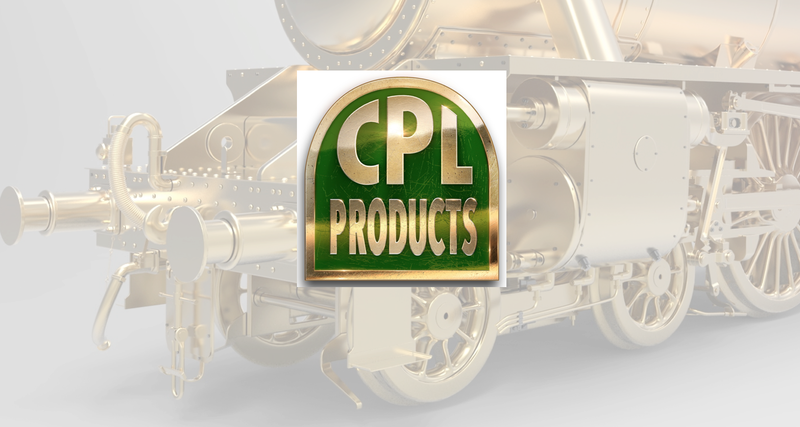 Money could have been saved by not purchasing the chassis frames and coupling rods, etc. But these, I believe, are the bedrock on which the engine is built. Get these right, particularly with regard to axle spacing, which is critical, then the model is off to a flying start. Is it necessary for it to be radio controlled? After all the radio control and sound system do add considerably to the bill. 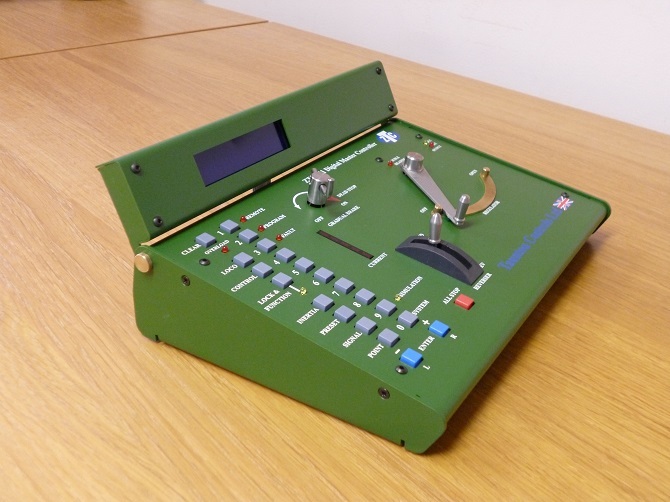 Also, track feed would negate the purchase of some of this equipment and save about £200. In my book, however, the battery power (allowing running in any conditions), the radio control (giving the loco independence) and the sound bring the whole thing to life. Not as good as live steam I grant you, but a jolly close second. Was it worth the effort? Compared to buying a kit, there is of course more risk. It may not turn out well and you are left with some expensive scrap. What about compared to an off the shelf ready-to-run model. 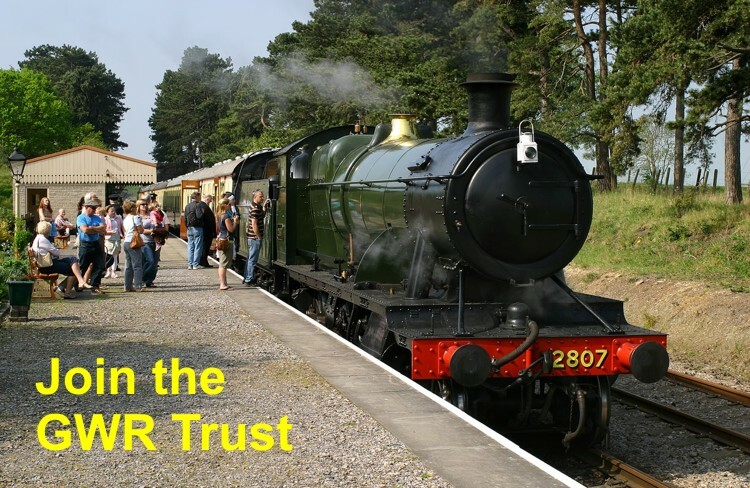 Well it does illustrate just what good value ready-to-run locos are. Alright, it’s going to cost probably twice the amount compared to scratch building, but at least you know it’s going to work. Therefore, can I recommend scratch building? If you don’t have the minimum of workshop equipment, the answer is no. However, for an investment of say £300 on a bench drill and band saw, then the answer is a resounding yes. Photo 1 – The electric motor and chassis side frames laid against the Binnie drawing to establish how best to locate the motor/gear box and where to cut the oversize steel chassis. 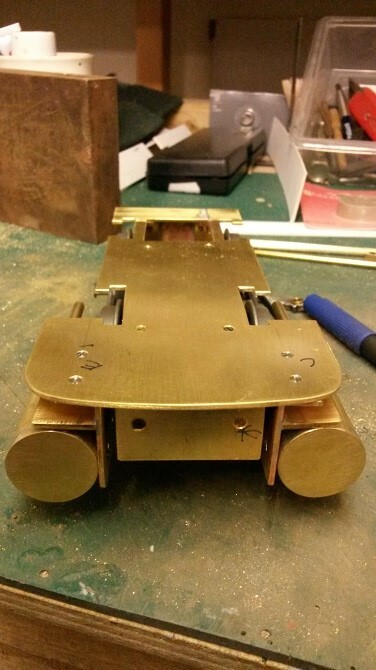 Photo 2 – The chassis was cut to length, excess discarded, and bearings soldered in place. 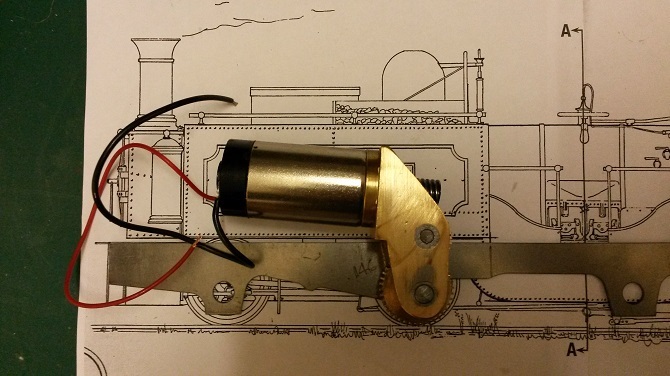 Photo 3 – The engine footplates were marked out using a rule, square and felt tipped pen. 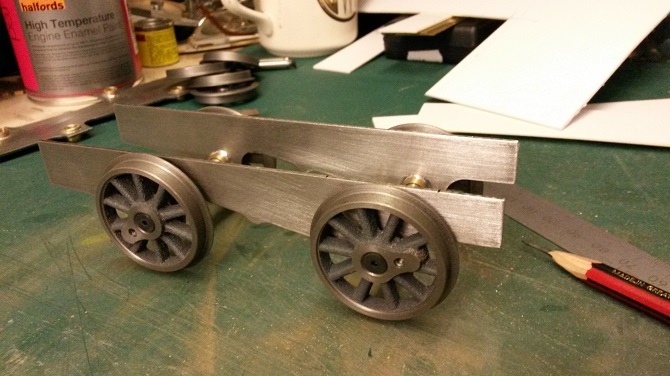 Photo 4 – One of the two duplicate chassis loosely assembled with wheels and axles. 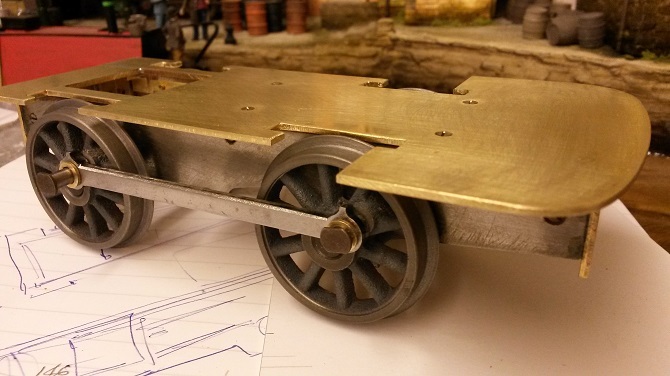 Photo 5 – A chassis/traction unit complete. 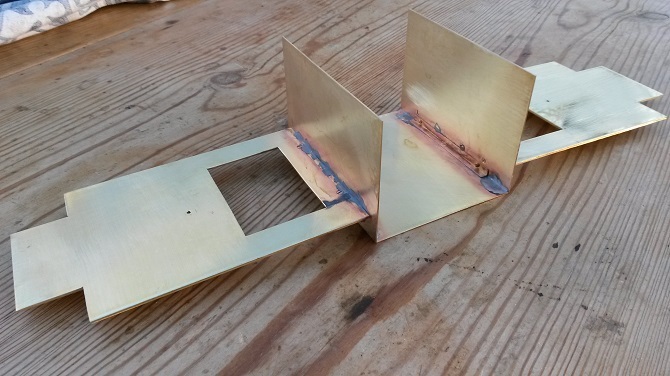 Photo 6 – The cylinder and slide bars in a rough state having been ‘mackled’ together with bits of brass tube and bar. Photo 7 – The cylinder and slide bars assembled to the chassis. The slide bars don’t look very parallel, but some brute force will sort that out! 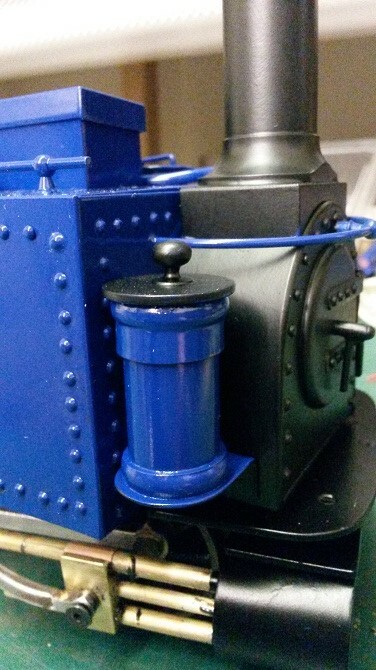 Photo 8 – Front view showing cylinders in place. Photo 9 – A crude cross-head and connecting/coupling rods assembled. Neither of the two chassis ran very well until files and hammer were brought into play! 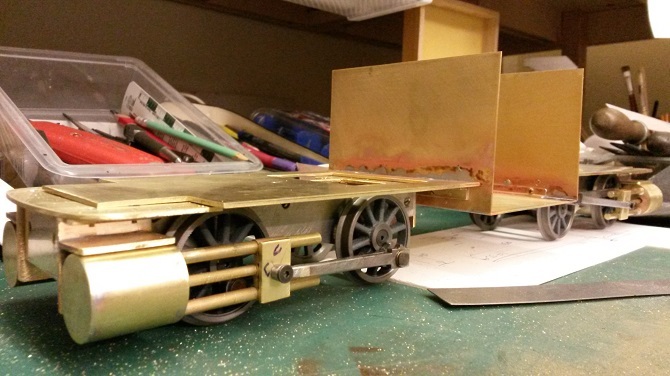 Photo 10 – Away from the chassis now, this is the fabricated top chassis that will, fingers crossed, link the two traction units together. 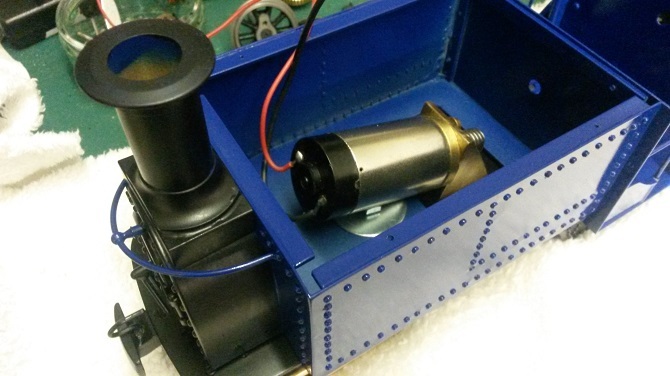 The rectangular holes either side are to allow the motors to poke through. Photo 11 – The newly fabricated top chassis straddling the two powered chassis. 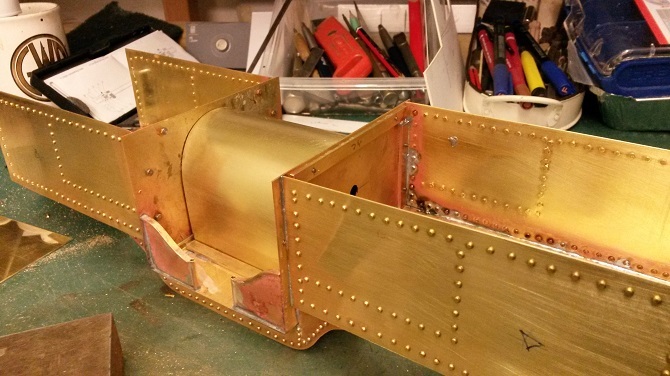 Photo 12 – The underside of the top chassis now fitted with support beams soldered on. Note the separate rivets which will give a better appearance. Although tedious, worthwhile. 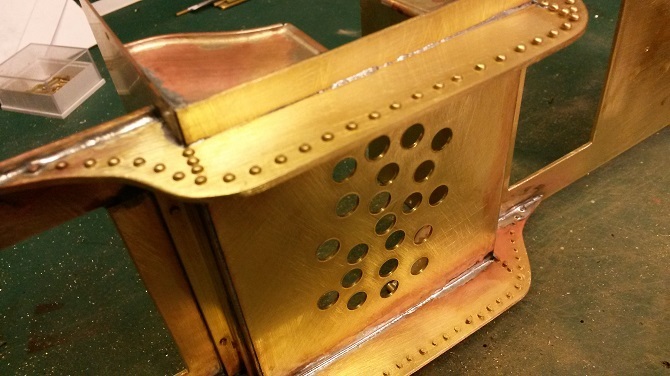 The holes drilled in the footplate will allow sound to escape from the loudspeaker when fitted. Photo 13 – This shows the dummy rivets in the side tanks which have now been soldered in place. 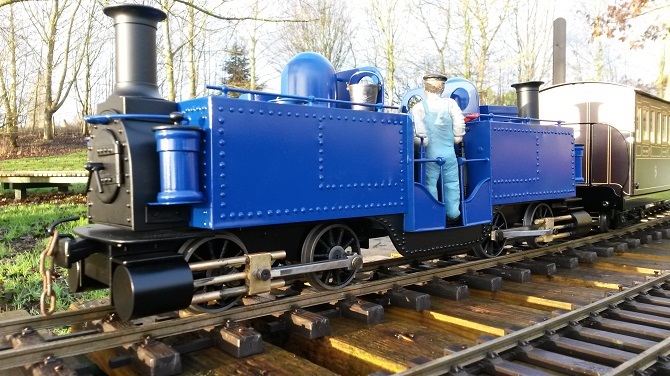 The fabricated bit in the middle, which I assume is the firebox, is located on the footplate but is loose fitted to allow it to be removed for access to the speaker, etc. Photo 14 – The loose components made from odds & ends. 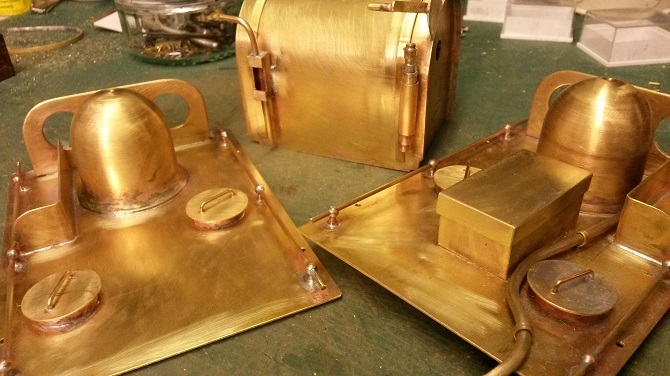 The tool box on the right hand boiler/tank cover will have the on/off switch and battery recharge socket within. Photo 15 – The loose components in place. Notice the spectacle plate brackets are somewhat over engineered. Photo 16 – The sand boxes ready for painting and fitting. 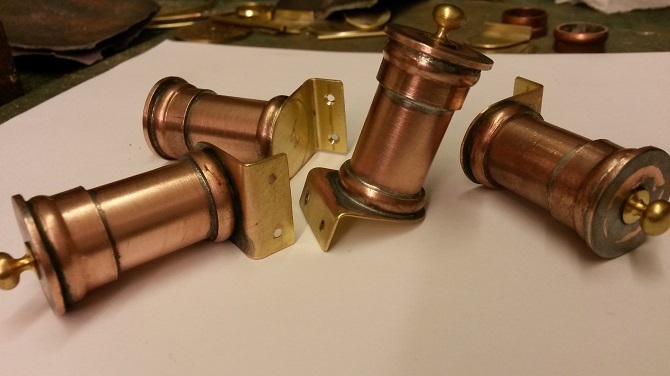 These are made from a selection of cut down domestic central heating copper pipe and fittings. 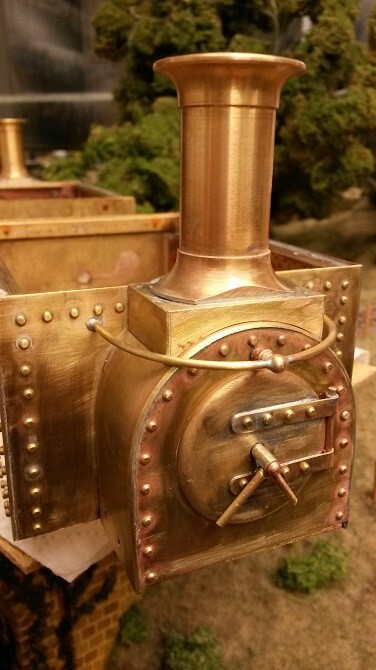 Photo 17 – One of the smokebox ends. 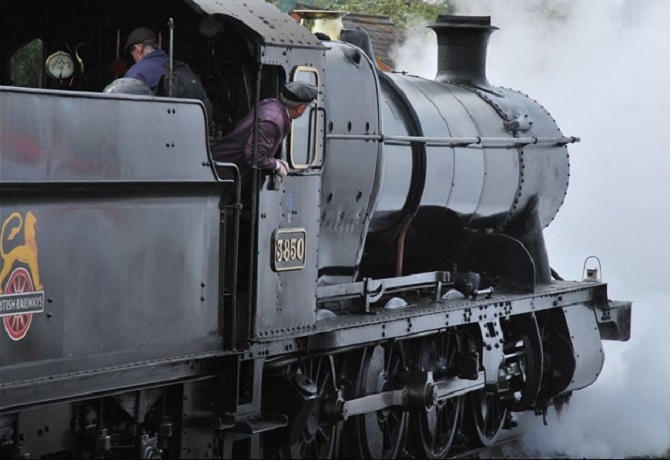 Whilst not strictly correct, the Pannier tank chimney when hacked about does give a reasonable impression of the original Fairlie chimney. 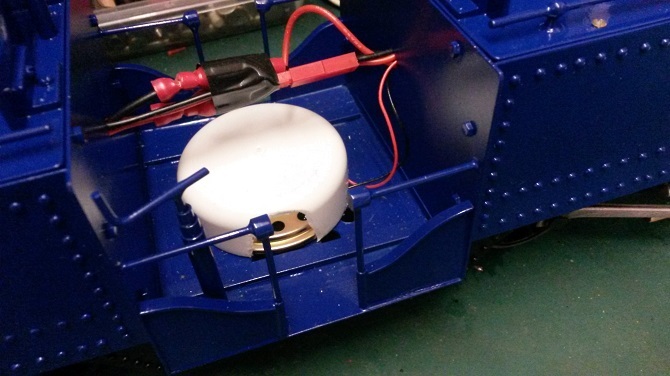 Photo 18 – The motor and gearbox poke through into the ‘tank’ at either end. 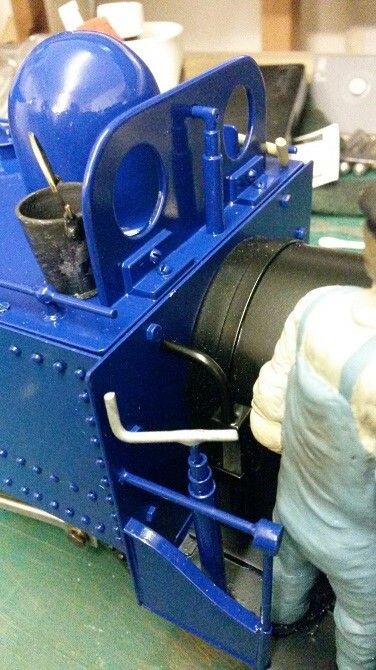 The pivot point for the articulated traction unit can be seen beneath the motor. 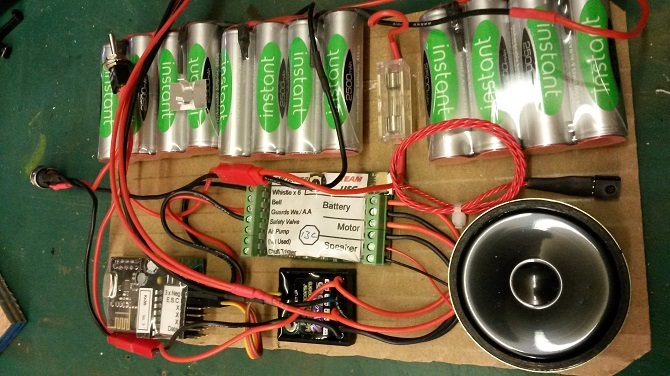 Photo 19 – The ‘black art’ of radio control and sound system as it arrives from Peter Spoerer. The system is connected and ready to go. Photo 20 – The speaker in place beneath a cut down spray can top. Some of the wiring needed extending hence the clumsy joints! Photo 21 – What a mess! 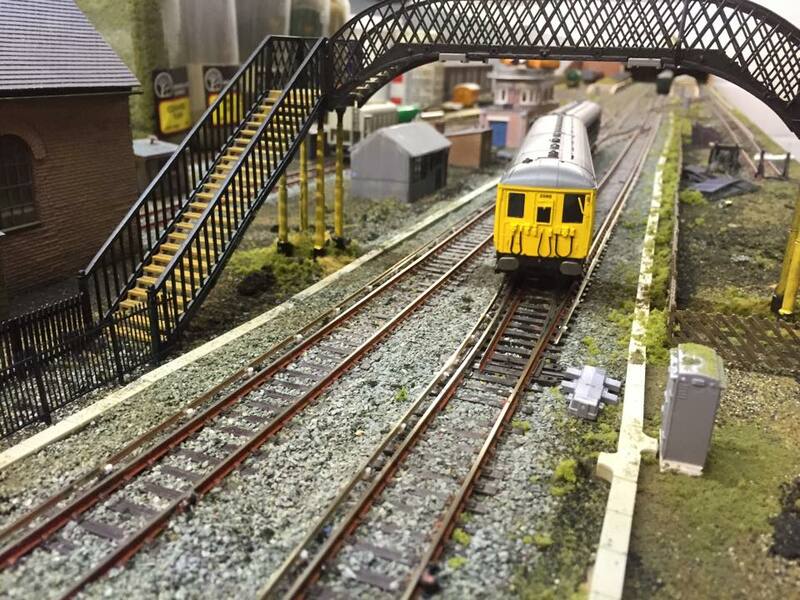 It’s not an easy job to fit all the electronic components in, even on a large loco such as this. 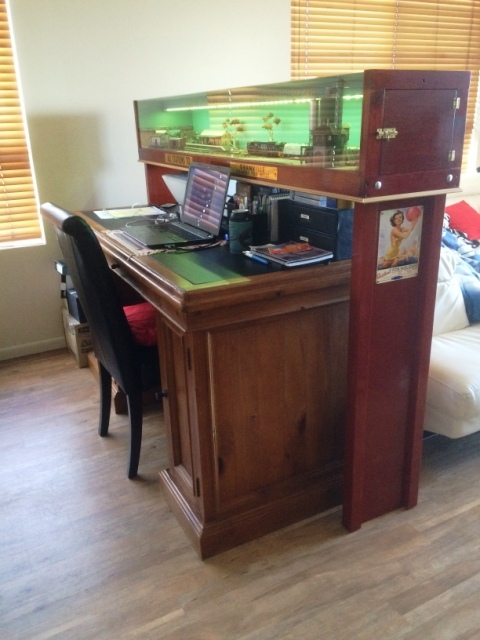 Photo 22 – The ‘cab’ area complete with Motley Miniatures driver. Photo 23 – The sand boxes have been added to complete the front end. Photo 24 – Ready to go. Coal, shovel, hammer and bucket details in place.